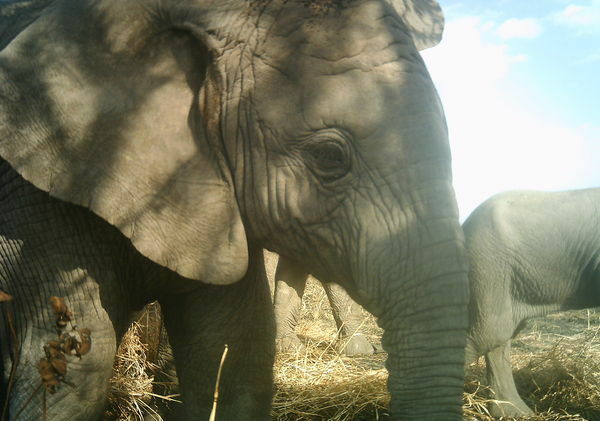 Continuing the meta-animal theme of our Zooniverse Advent, we present the Elephant of Elephants! 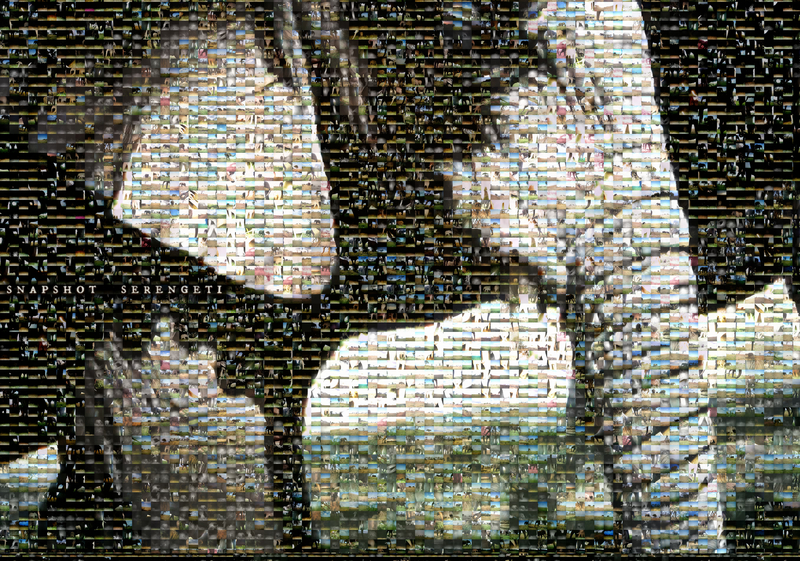 This magnificent creature is made from 5,000 images of elephants from Snapshot Serengeti, as classified by our amazing volunteers. You can download the full poster here (warning: it’s 70 MB). And that’s fine. But I was curious about who’s working on Season 5. The Talk discussion boards are particularly quiet, with almost no newbie questions. So is everyone working on Season 5 a returnee? Or do we have new folks on board? I looked at the user data from a data dump done on Sunday. So it includes the first 5 or so days of Season 5. In total, there are 2,000 volunteers who had contributed to 280,000 classifications by Sunday! I was actually quite amazed to see that 6% of the classifications are being done by folks not logged in. Is that because they’re new people trying out the site — or because there are some folks who like to classify without logging in? I can’t tell. But I can compare Season 5 to Season 4. We had 8,300 logged-in volunteers working on Season 4. Of all the classifications, 9% were done by not-logged-in folks. That suggests we have fewer newcomers so far for Season 5. But then we get to an intriguing statistic: of those 2,000 volunteers working on Season 5 in its first five days, 33% of them did not work on Season 4 at all! And those 33% apparently new folks have contributed 50% of the (logged-in) classifications! So what’s going on? Maybe we’re getting these new volunteers from other Zooniverse projects that have launched since January. Maybe they’re finding us in other ways. (Have you seen that the site can be displayed in Finnish in addition to Polish now?) But in any case, welcome everyone and I hope you spot your favorite animal.